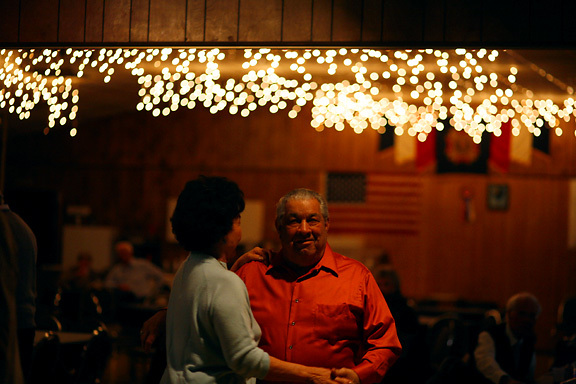 i ventured into vfw post 755 tonight to work on my ballroom dancing essay. i was instantly struck by this scene of hanging christmas lights and an american flag. i worked the scene a lot. in looking through my take there though, there were only a couple almost frames. hopefully i’ll be able to go back next week, find the right composition, and work it until the pieces fall into place.